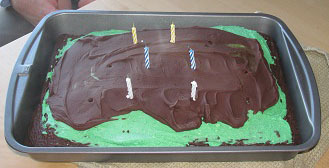 Alas, I didn’t photoshop out the extra four candles for this blog’s second birthday. Two years ago I started this blog with a short, short review of I Am Half-Sick of Shadows by Alan Bradley, and after a few months I settled into a crime fiction blogging groove, with the occasional slowdown when life became busy, as well as dabbling in a bit of non-crime fiction reading when the mood strikes. I am grateful to all of you for reading, and thank you pointing me to more interesting books in your comments and own blog posts. Finding your blogs and making your acquaintance online has been the greatest pleasure of blogging. 1. I am joining the USA Fiction Challenge in 2014, and I’ll treat it as a perpetual challenge (one book set in each state and Washington DC). 2. I’m also going to turn the Global Reading Challenge into a perpetual challenge for me and keep track of books set in each country. Since there are close to 200 recognized nations, this will take me awhile. 3. Borrowing from an idea from Nancy’s blog The Crime Segments, I’m going to include a sidebar of books I’m giving away. US readers only, please. Email me at rebecca.kreisher (at) gmail (dot) com. Again, thanks for reading and writing such interesting comments and blog posts to keep me excited about reading.